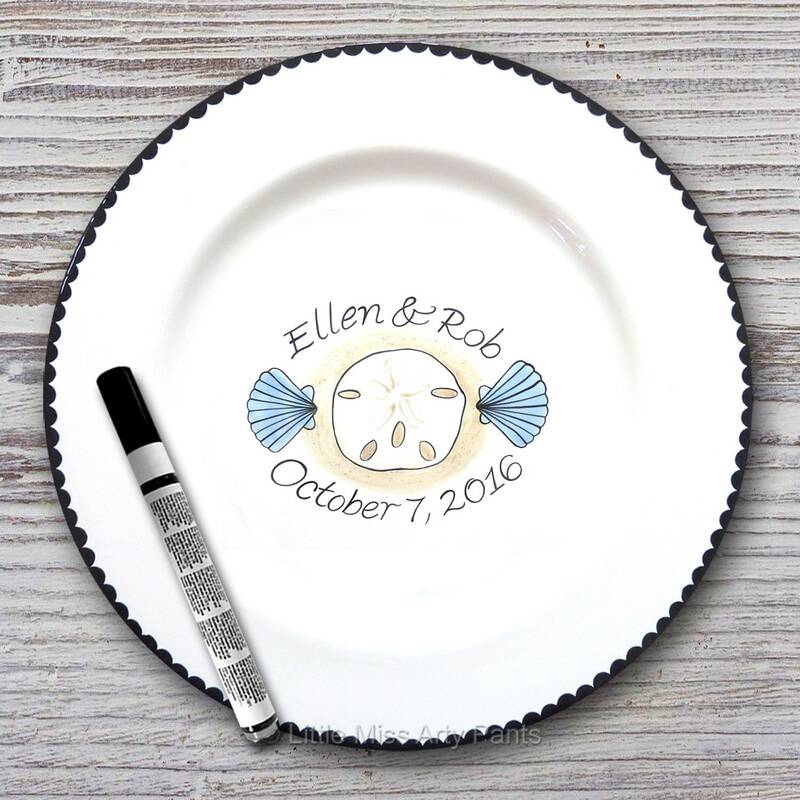 This personalized and hand painted ceramic signature plate will make a special Wedding Gift or get it for your wedding reception as a guest book alternative. All personalized plates are created just for you, per order. Plates come with one black ceramic marker for signing the plate. After signing the plate, simply bake the plate in your oven and the signatures will be permanent. Instructions for using the marker and baking the plate are included. *Marker Recommendation: I RECOMMEND PURCHASING AT LEAST 2 MARKERS AS A PRECAUTION... Should the marker get damaged during signing (should someone break it) or if the cap of the marker is left off, you will have a backup marker. If you would like to order more than 2 markers, please contact before you order and I will set up a listing for you. 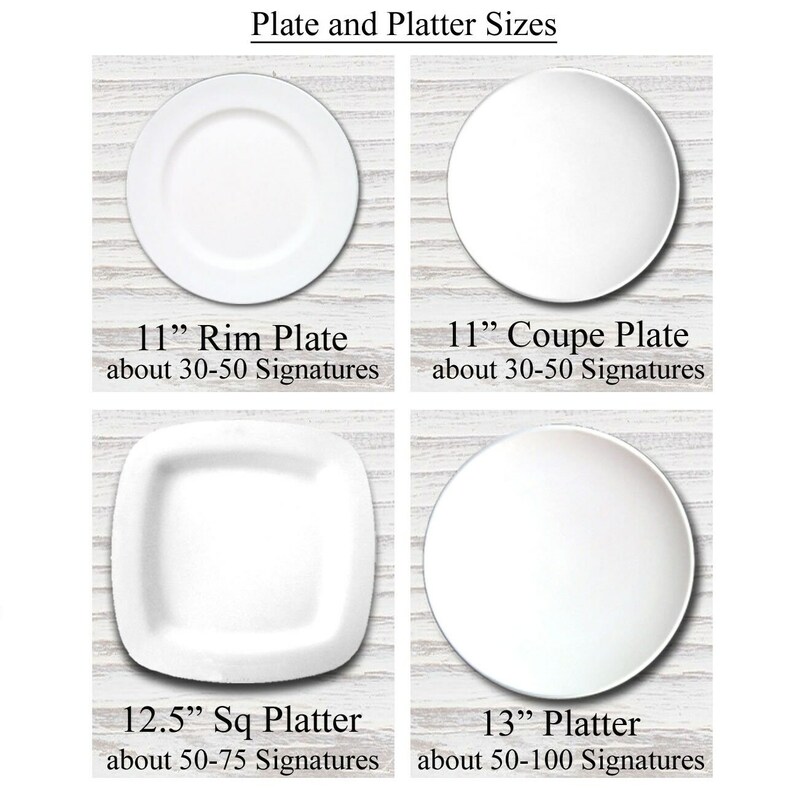 How many signatures does each plate hold? 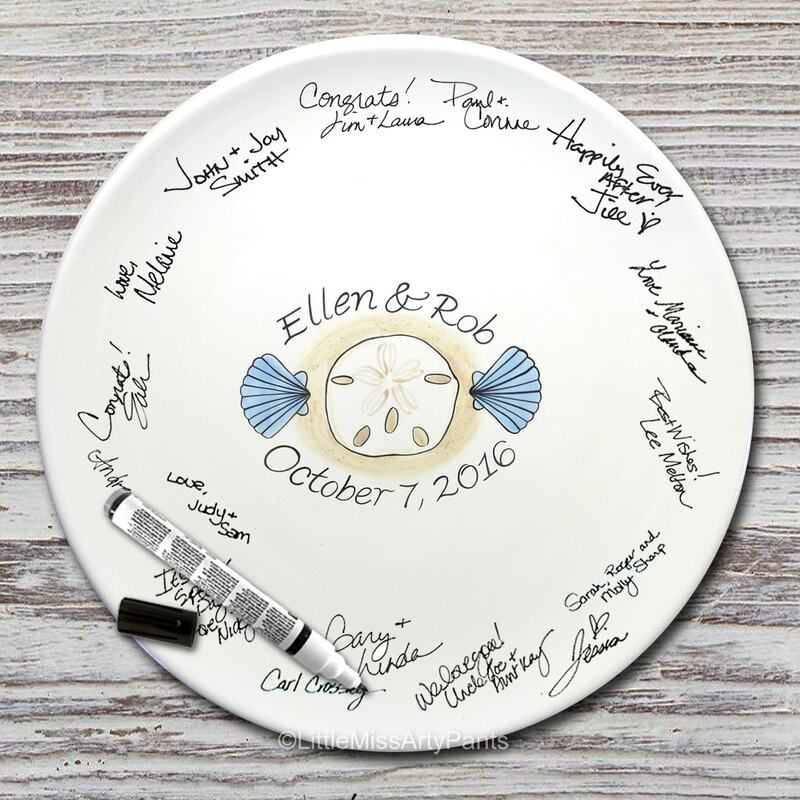 It will depend on your guests and if they choose to just sign their name or sign a message with their name. You may want to put someone in charge of assisting guests with the process. This is also a good idea because that person can be in charge of making sure the ceramic markers are kept capped and stored horizontally when not in use. They can also assist if makes are made (mistakes come off easily with a wet cotton swab). 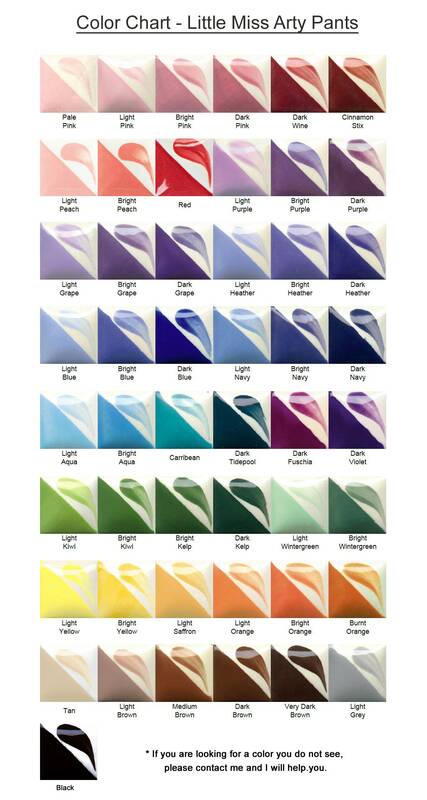 (If you want the same colors as on a sample plate, you can let me know that as well, be sure to specify which sample plate). 1. 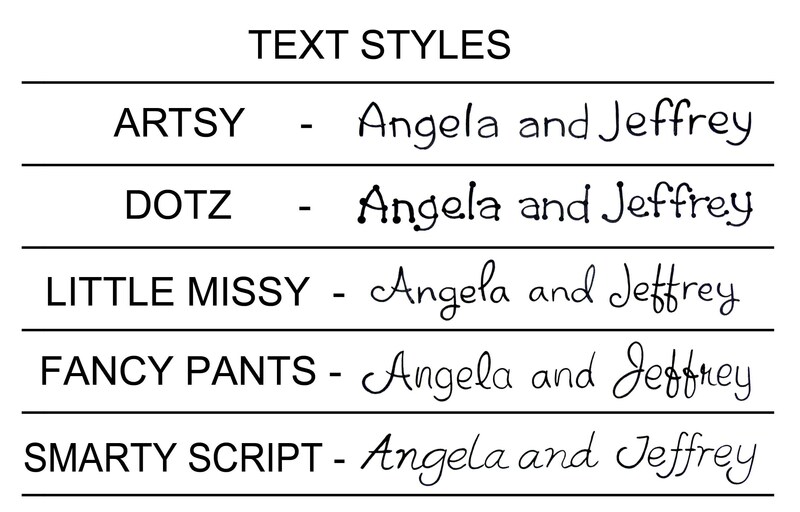 FIRST NAMES of Bride and Groom and the WEDDING DATE. 4. 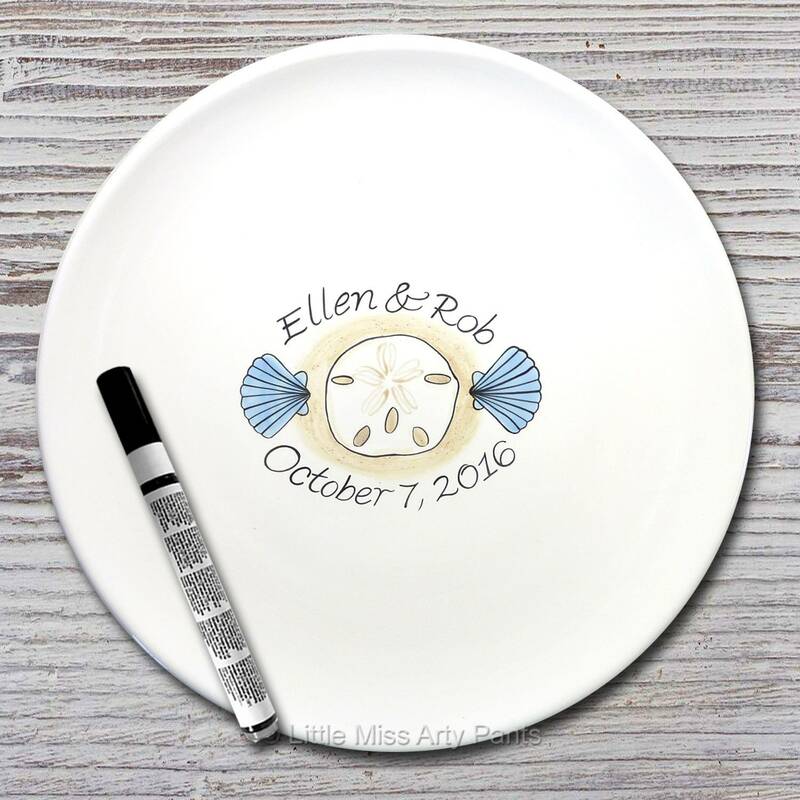 You may also add a short message, 8 WORDS OR LESS, to the back of the plate. *Custom order requests are always welcome! Additional fee's apply. Please contact me with your questions, I am happy to assist you with an order.